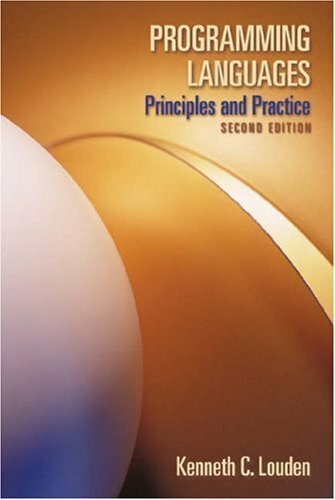 Kenneth Louden's new edition of Programming Languages: Principles and Practice provides students with an overview of key issues in the study of programming languages. Rather than focus on individual language issues, Kenneth Louden focuses on language paradigms and concepts that are common to all languages. Louden also includes materials that are not frequently found in other introductory texts, such as implementation issues and theoretical foundations of programming languages. Coverage of these topics helps serve as a bridge to students' compiler courses and other theoretical computer science courses. If you have any questions about this product by Cengage Learning, contact us by completing and submitting the form below. If you are looking for a specif part number, please include it with your message. C: The Complete Reference, 4th Ed.